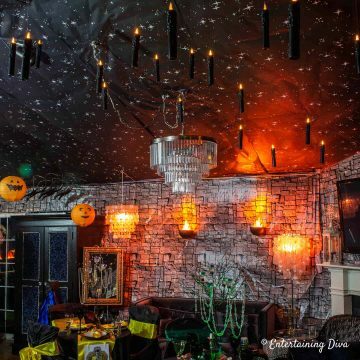 I love hosting theme parties and my Harry Potter party was one of my all time favorites. 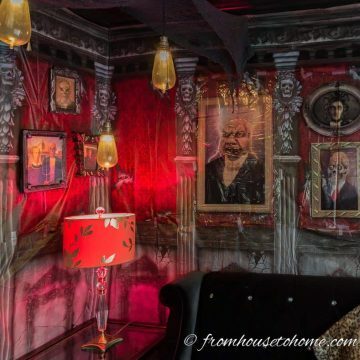 All of my friends said it was the best party ever! 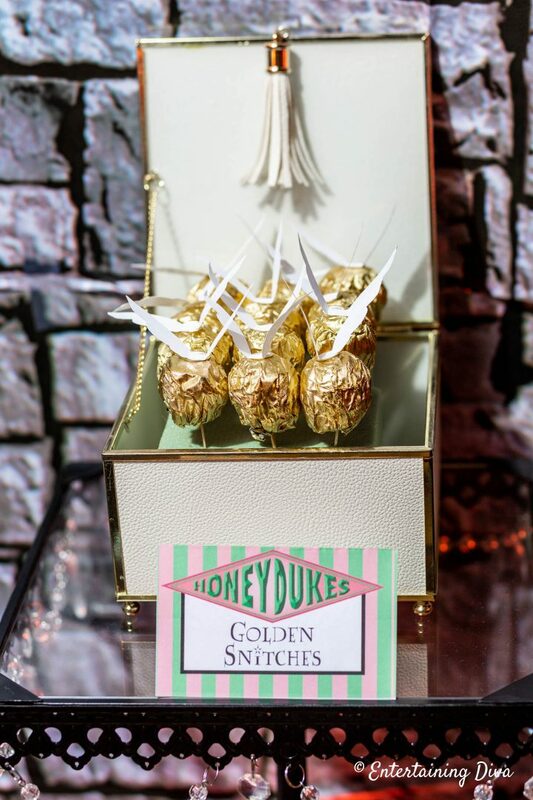 These DIY golden snitches were one of the easy printable projects I made that helped take the party decor to the next level. 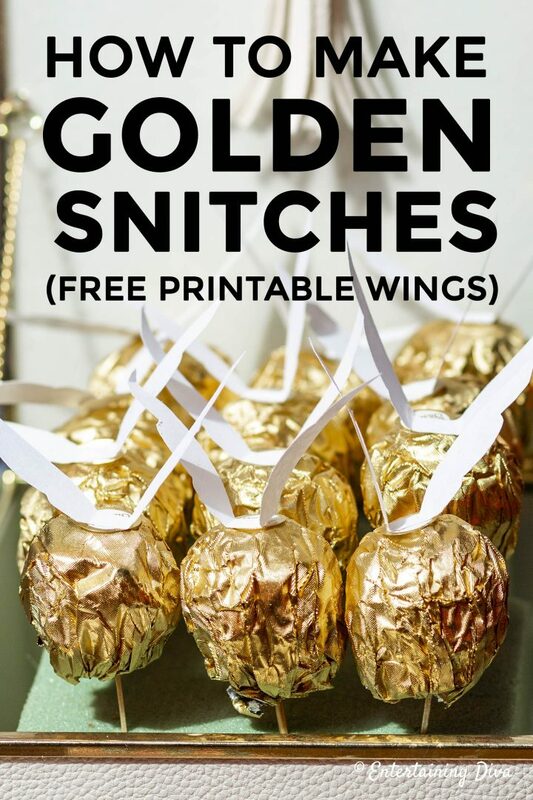 What’s a Harry Potter party without some Golden Snitches? Especially if they do double duty as a tasty party treat! 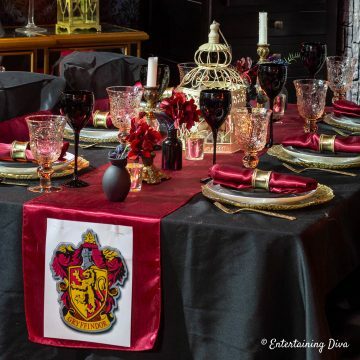 Making golden snitches out of Ferrero Rocher chocolates was an idea I found on Cooking Classy (She also has a butter beer recipe and some other Harry Potter party ideas you might want to try, so be sure to check that out). 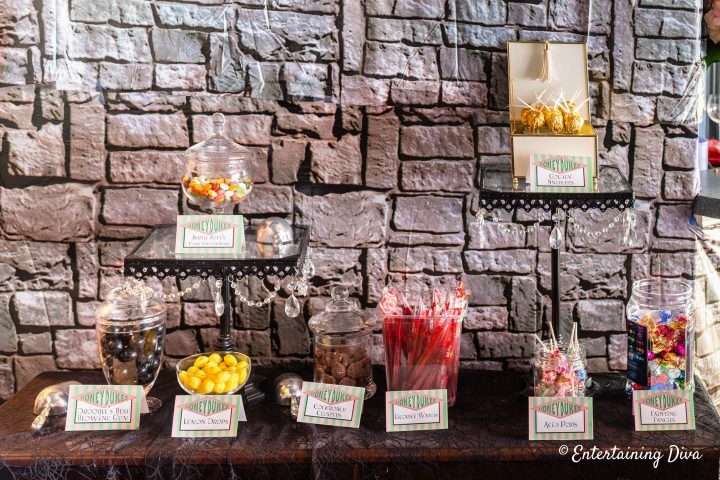 Once I saw them, I knew I needed to add them to my Harry Potter candy bar. 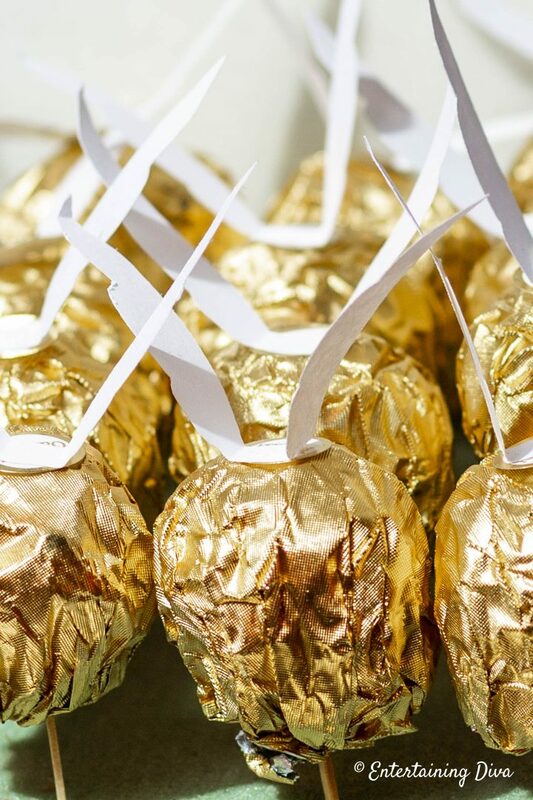 Fortunately these DIY Golden Snitches are really easy to make, so they’re my kind of party decor! 1. 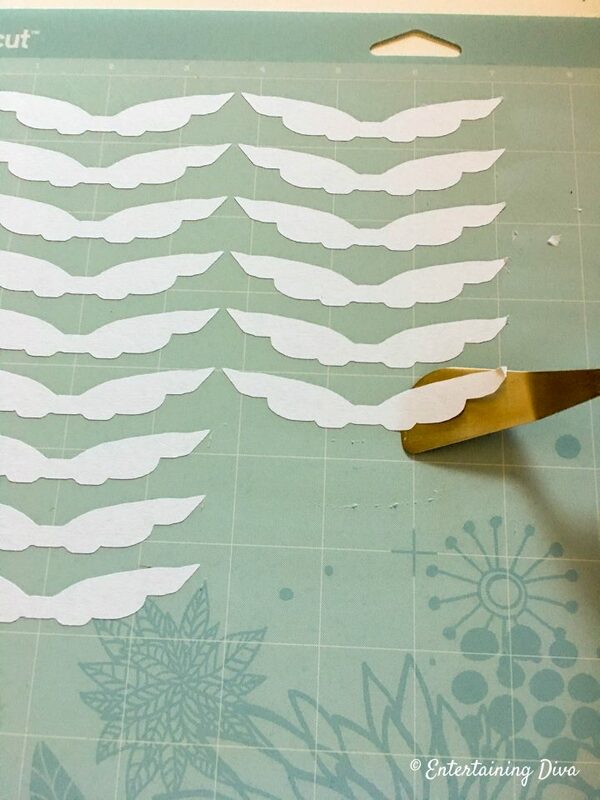 Cut out the wings from the paper. For my version of the golden snitches, I used my Cricut machine to make the wings from regular white paper. However, if you really want to get fancy, you could use gold paper or color the wings with gold marker. I ran out of time, so mine stayed white. You can download the Golden Snitch wing pattern below. 2. Next, I folded the wings up on either side of the center square. 3. Then I put glue on the back of the center square with a glue stick and stuck them to the top of the Ferrero Rocher chocolates. (See I told you that was easy!) You could probably use a glue stick or any kind of white craft glue to do the same thing. I just find a glue stick less messy to work with. The next dilemma I had was to get the Golden Snitches to stand up so the wings weren’t scrunched and make it easy for people to grab one if they wanted one. 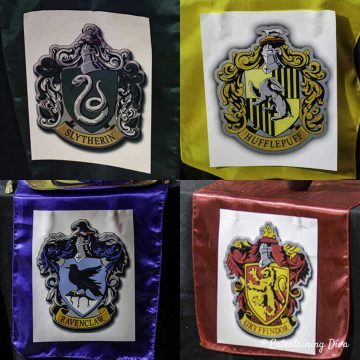 Plus I wanted it to look kind of like the Quidditch box that a Golden Snitch would be stored in. I lucked out and remembered this decorative box in my bedroom (originally from TJ Maxx) that was perfect. So I cut a piece of floral foam a little smaller than the box. Then used toothpicks to stick the Golden Snitches into the foam. If you’re interested in the Honey Dukes signs, click HERE to get the printable. They made a great addition to my Honey Duke’s candy bar. 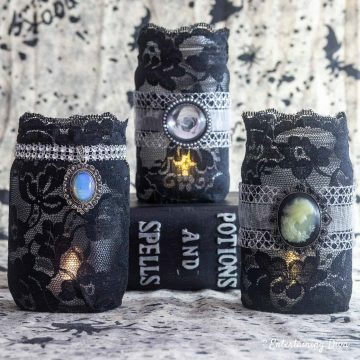 Have comments or questions on how to make DIY Golden Snitches? Tell us in the section below.